ArtsWestchester offers internship opportunities in specialized fields. 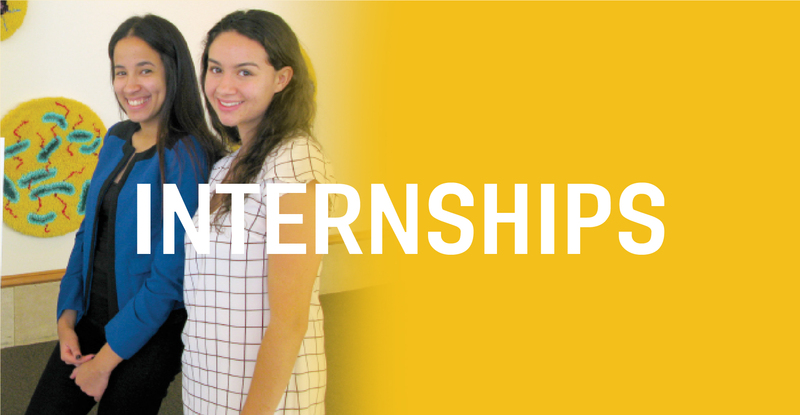 Our interns gain valuable experience that can be used in future careers such as: project management, public relations, professional writing, team collaboration, leadership and responsibility. ArtsWestchester provides our interns with complimentary admission to arts/cultural events throughout Westchester, where they can help build awareness of the arts. Our interns enjoy an experience that is both meaningful and educational through creative projects and working closely with the staff members at ArtsWestchester. In addition to contributing to important tasks in specific departments, interns participate in professional development activities and learn the daily operational functions of a successful non-profit organization. Although academic credit can often be arranged through interns’ own colleges and universities, internships are typically unpaid. In some instances, ArtsWestchester may provide a stipend for travel. The Communications Department writes and produces an award-winning monthly newspaper, designs all ArtsWestchester promotional materials, pitches stories to the press, documents events with digital photography, develops marketing strategies, and maintains our website. The opportunity to work with the communications staff in all matters related to the press and publicity including social media, local promotions, photography and marketing to boost arts attendance and build the ArtsWestchester brand. ArtsWestchester is seeking a highly-motivated and enthusiastic editorial wunderkind. Principal duties may comprise of drafting assigned articles, press releases and event descriptions, fact-checking stories, editing content, conducting front-end research for upcoming events and projects, helping with our digital operations (submitting articles online, posting calendar events to news sites), expanding distribution of publication outreach, assist in archival of photos and media clips, and offering general assistance to the Editor/Communications Department. Intern duties include, but are not limited to: research and fact-checking skills; is web savvy; can tackle several different projects at once; working/understanding of word processing (Photoshop is a plus). This position is part-time. Arts Westchester is seeking a talented and enthusiastic individual with knowledge of and experience working with databases to support various departments and web content. This person will primarily work with our IT/Web Manager in maintaining and implementing updates to current web pages, design & develop new web tools. Intern duties include, but are not limited to: be able to thrive in a fast-paced, rapidly-changing development environment; helps maintain and troubleshoot existing web applications; creates, maintains, and updates web documents and familiarity with HTML is a plus. The Grants and Government Relations intern provides administrative support for the Grants and Cultural Programs department of ArtsWestchester. The intern will assist in a number of projects for our affiliate and associate members. Intern duties include, but are not limited to: data entry with training on the use of Microsoft Access; affiliate and associate member relations; exposure to Westchester County and New York State contract agreements; supervised site visits and other areas of arts and public administration. The Arts in Education intern provides administrative support for the school and community art residency program and will assist in all aspects of the teaching artist program, youth art workshops, outreach, marketing duties, residency planning, and professional development for artists. Intern duties include, but are not limited to: conducting research; communicating with artists, arts organizations, and cultural sites in Westchester; filing; organizing mass mailings; performing data entry; and assisting with special projects, programs, and events. Position has a flexible schedule with some evening events. Assist with day-to-day operations of the ArtsWestchester’s Gallery, a dynamic fine arts space in the heart of downtown White Plains. Intern duties include, but are not limited to: experience at front desk reception of exhibition visitors, fielding phone inquiries about exhibitions and performances, exhibition support including basic registrar duties, database management, research, and special event staffing. Work with development staff in all matters related to membership, special events, corporate sponsorships, foundation and government grant requests, and major gifts. The ideal candidate must be comfortable on the phone. Intern duties include, but are not limited to: providing assistance to the Development Department; executing mail merges and preparing mass mailings; entering data into The Raiser’s Edge fundraising database; creating and modifying Excel spreadsheets; phone solicitation; assisting with the planning and execution of major fundraising events, including the annual Gala and Silent Auction; and working on special projects as needed. Position has flexible hours, Monday through Friday with some weekend and evening hours required for special fundraising events. Internships are available to college students and recent grads, junior and senior high school students and mature professionals pursuing further experience in the arts . For requirements and to apply, please fill out our online application.